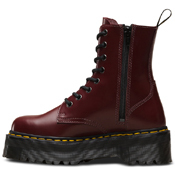 Picking up on the 1980s Rewind theme, the Quad Retro Jadon boot boldly perches a classic upper atop a thick, towering sole which sandwiches PVC and EVA to vertigo-inducing new heights. The Jadon deftly mimics elements of military with rave and utilitarian with clubbing. 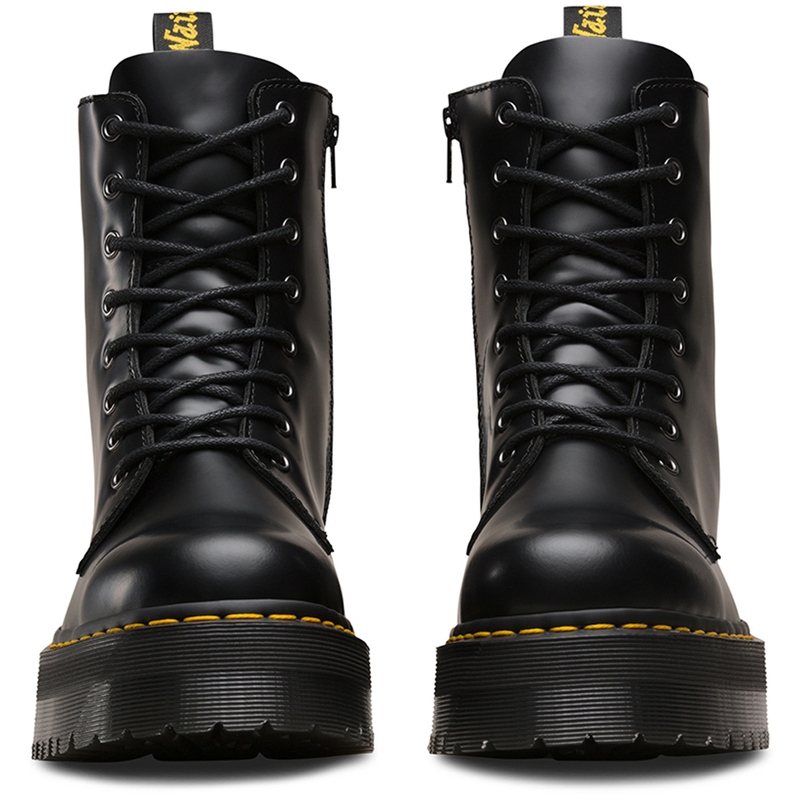 To finish the look, there's an inside zip, metallic eyelets and Dr. Martens famous yellow stitching. 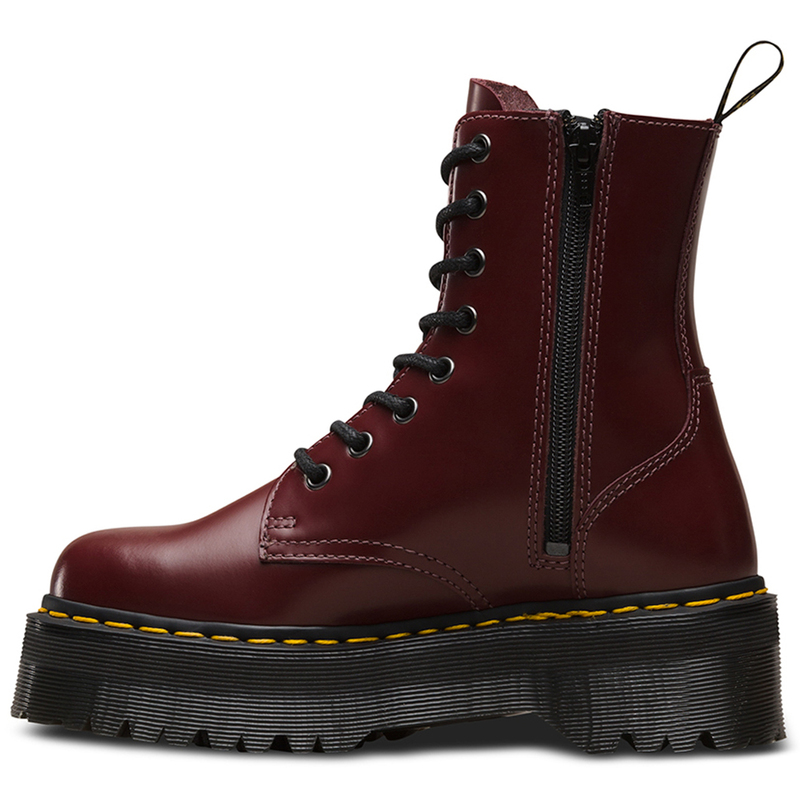 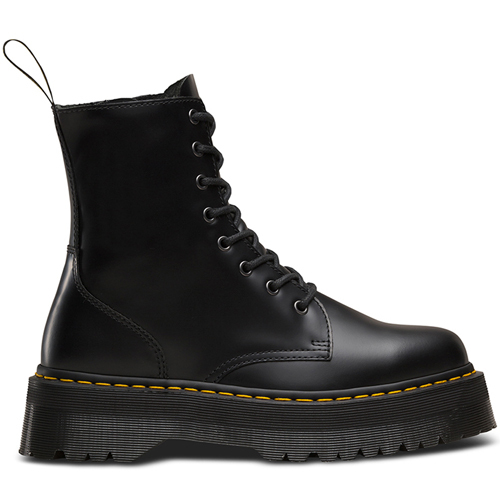 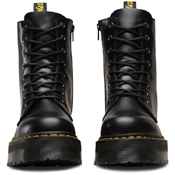 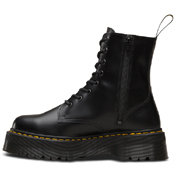 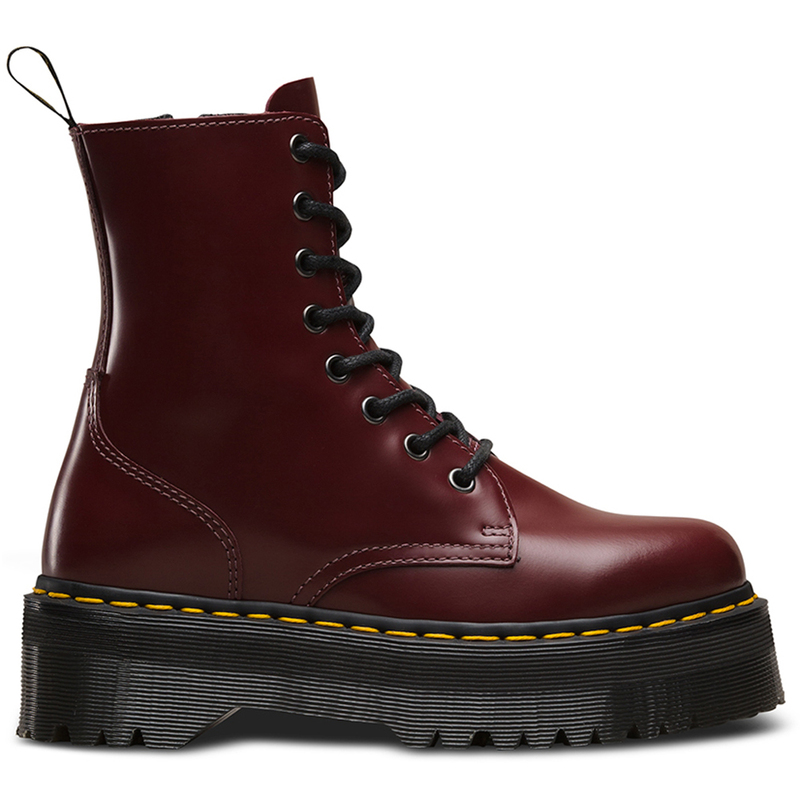 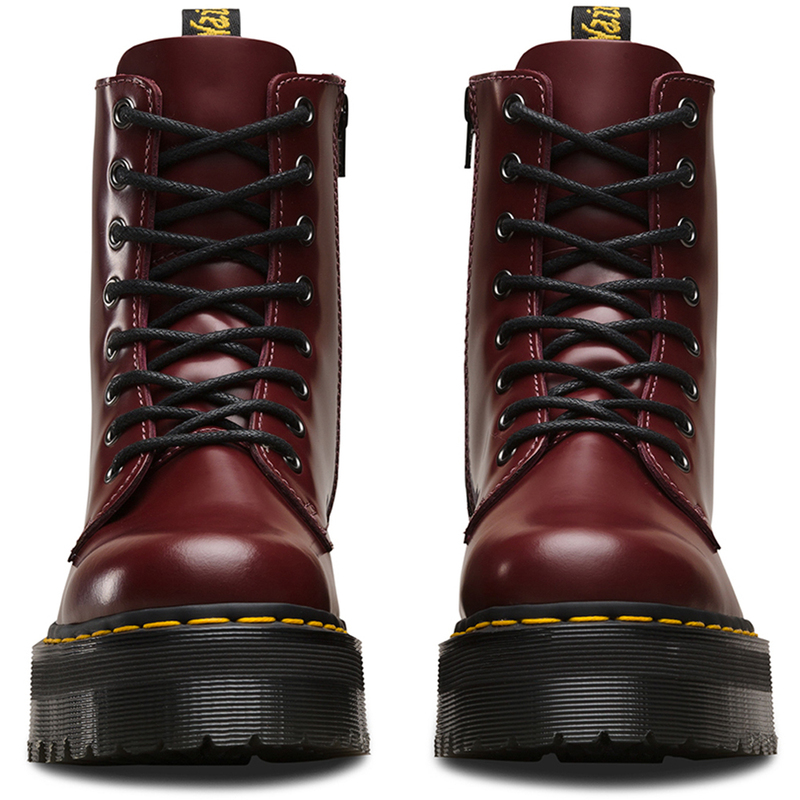 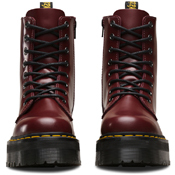 Platform height: 1 3/4"
A twist on the classic Dr. Martens leather: durable, with a smooth and polished finish.